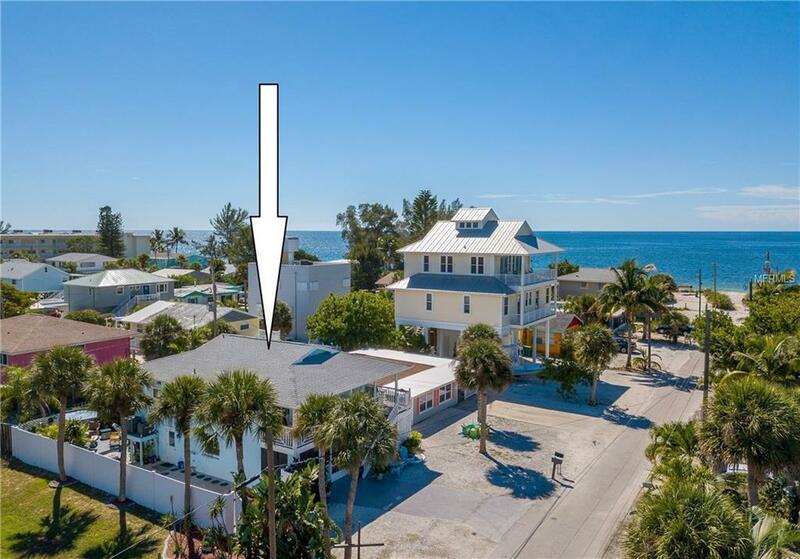 This Beach Chic Oasis on Manasota Key will make you stop in your flip flops as you remember the simpler days. 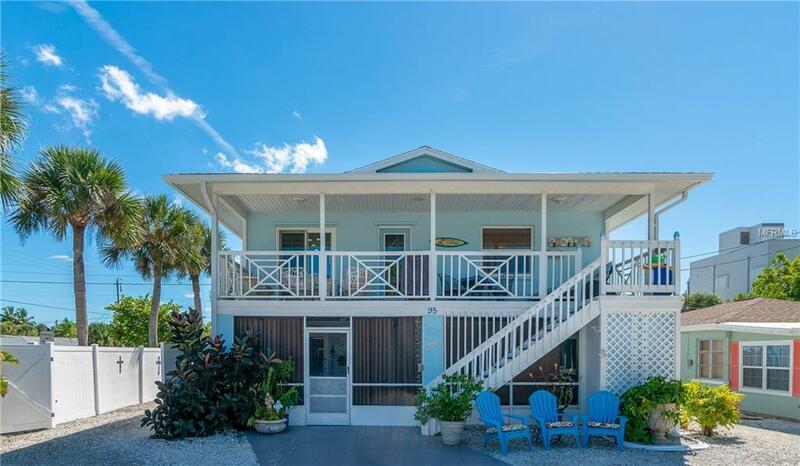 The lush Tropical Landscaping, bright Key West colors, and coastal accents set the stage. This property offers 3 unique units with excellent rental histories. Upstairs in the Captains Quarters unit, your open porch and great room showcase spectacular Gulf Views. An etched Mermaid welcomes you home as you step into a decorators dream. Granite Counters, Hand Stained Mexican Tile, newer kitchen appliances, stylish wall colors, a large great room, and 2 bedrooms /2 bathrooms create the perfect combination. Downstairs the First Mates Quarters features a large bedroom, bathroom, kitchen, great room, stainless appliances, and a laundry room. The efficiency unit, or Crews Quarters offers many possibilities, endless charm, and opens to a large screened porch. The private fenced backyard is the perfect place to relax after a day on the beach. 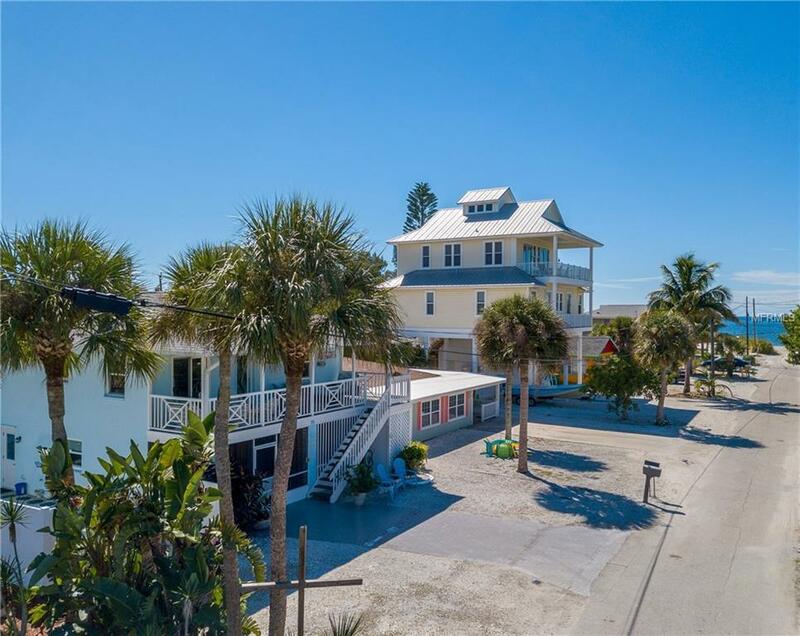 Only 130 steps to your Deeded Beach Access and the sparkling Gulf of Mexico, youre just a shells throw away from Stump Pass Beach State Park where you can walk over a mile of undeveloped pristine beach. Rinse off the sand in one of your two outside showers. Head to Chadwick Park and launch a kayak or dinghy into Lemon Bay where you have deeded access. There are many options. Stay in one unit, rent the other two. 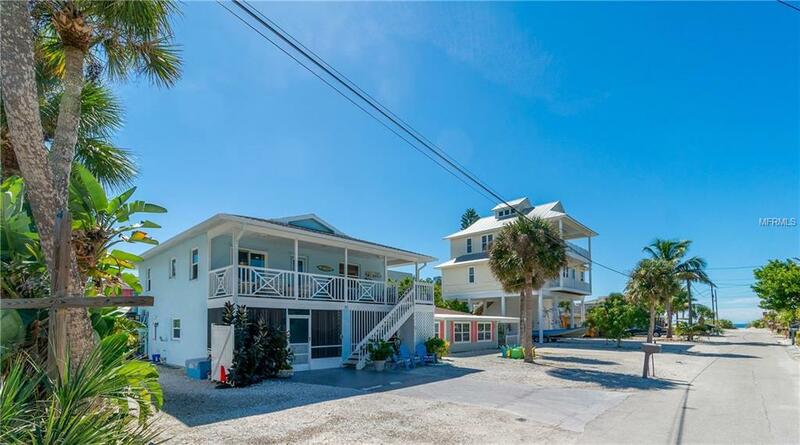 Keep it all to yourself for family and visitors, or rent it all! Block Construction & Impact windows provide peace of mind. Live the Salt Life Here! Additional Lease Restrictions Charlotte County Restrictions Apply.